It is a well-known fact that our inner demand is to achieve eternal happiness and that happiness is the result of inner peace. This is not only the demand of an individual but is the demand of a family, society, state, nation and the world as a whole. Although our every effort is directed at fulfilling this indispensable inner demand but resultantly we are receiving the reverse of it in the form of physical sickness, mental disturbance, intellectual instability and endless calamities. The root cause of all these miseries is the intellectual disease called nescience. Individuation and egotism are the symptoms of this disease. When our intellect is under such influences it is polluted and becomes impure. In that impure state it becomes bound and loses its own real nature of eternal happiness and peace. The Vedic seers proclaimed that all these sufferings and calamities can be annihilated only by living a disciplined life in the light of divine wisdom, through which one can be able to fulfill one's indispensable inner demand. 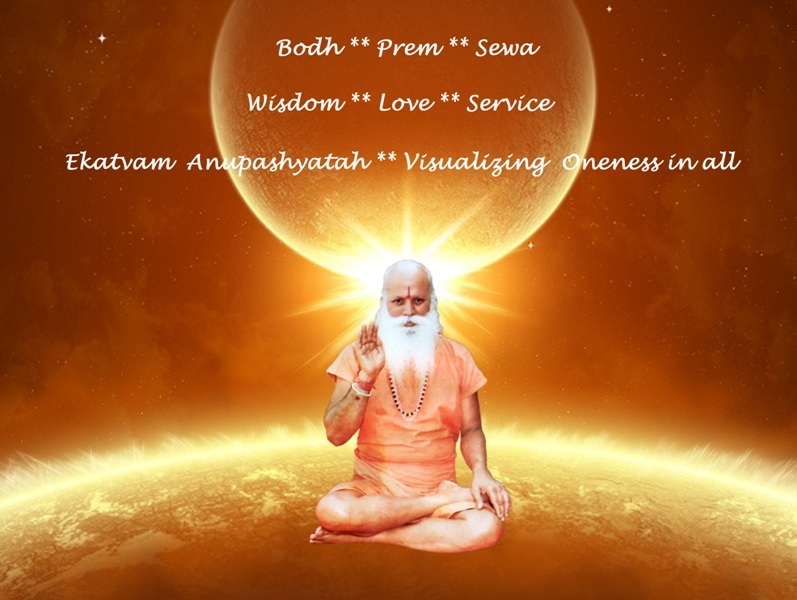 The aim of Brahmrishi Mission is to teach and propagate Vedic ideology and its divine way of life, through which everyone can be able to realize eternal truth and resultantly visualizing unity in diversity, oneness in all. This will contribute towards universal brotherhood among mankind based on mutual love and service. The Shri Ram Dham Hindu Temple is a representative of real India. It is not only a place of worship; it is also a cultural and educational center of higher learning. Brahmvidya, the knowledge of the Absolute, is the symbol of our philosophy and science of yoga is the symbol of our life. Our actions and our philosophy, our actions and our ideology, both will be related with the Science of the Absolute and the Science of Yoga.